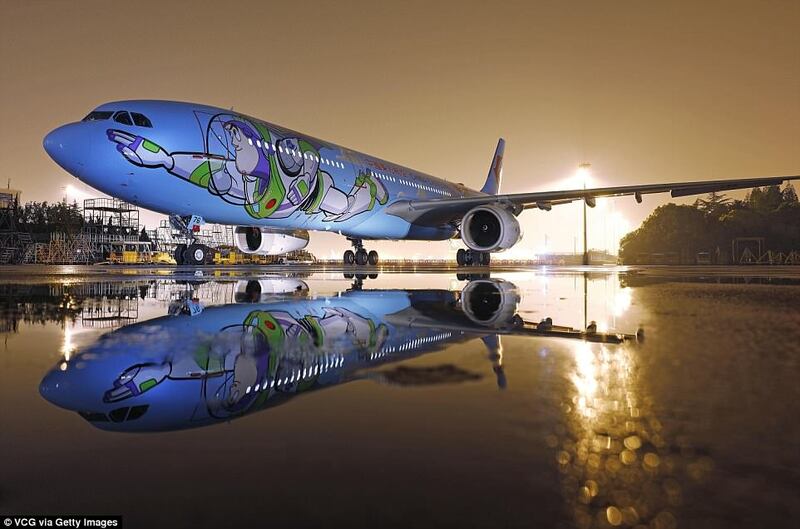 Disney fans are now able to fly alongside Buzz Lightyear himself after the launch of a Toy Story-themed aircraft. 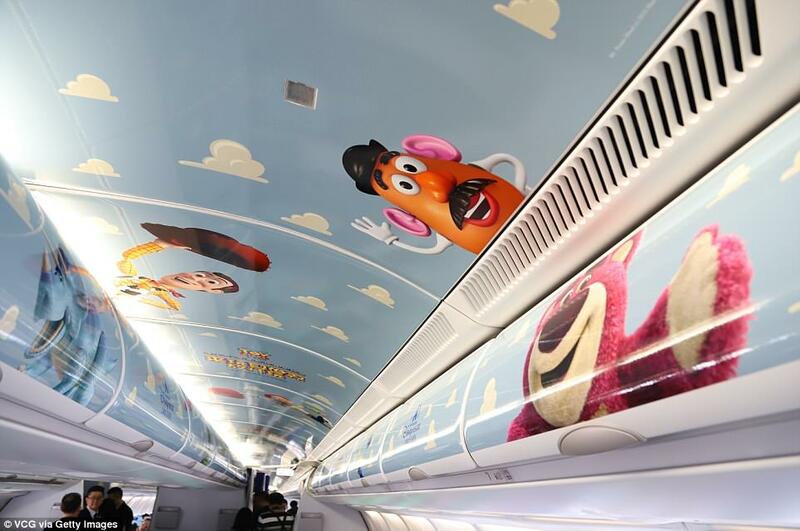 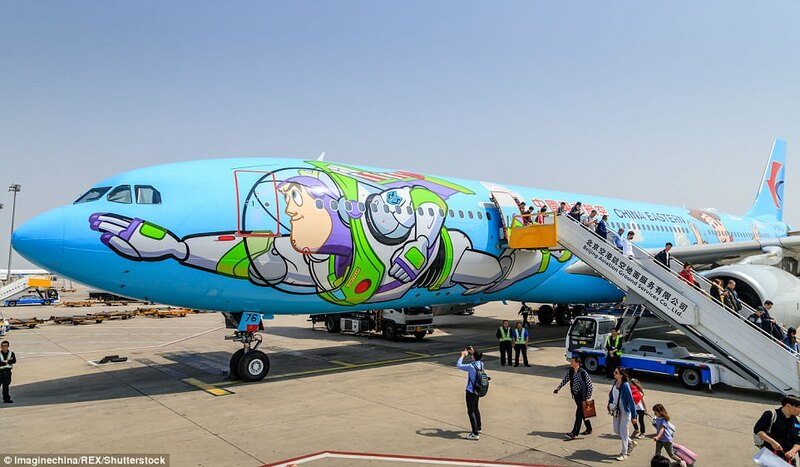 China Eastern Airlines has transformed one of its planes, with the exterior featuring a huge mural of the most well-known characters, Buzz Lightyear and Woody. 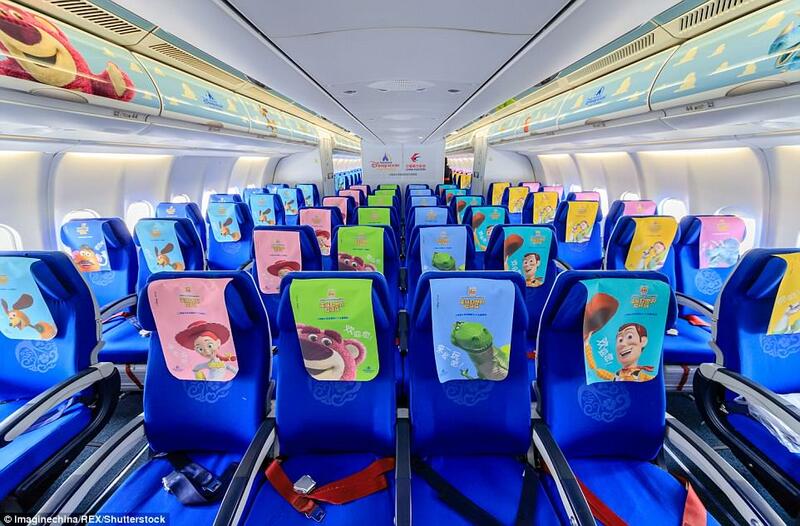 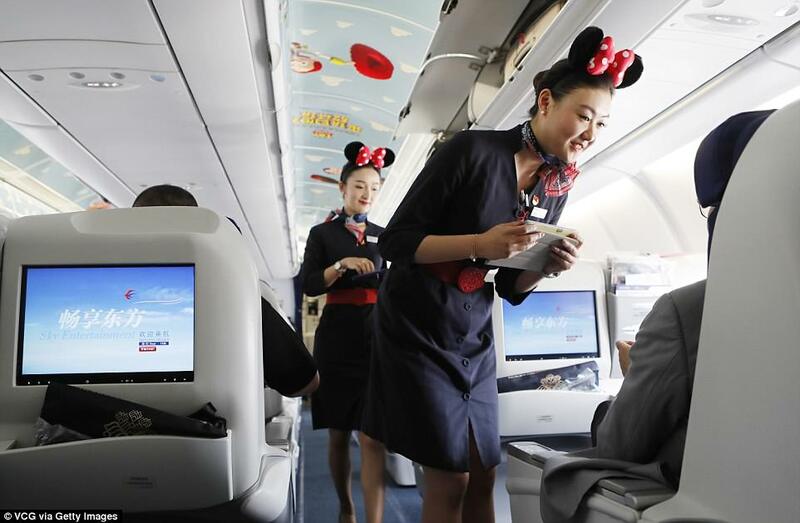 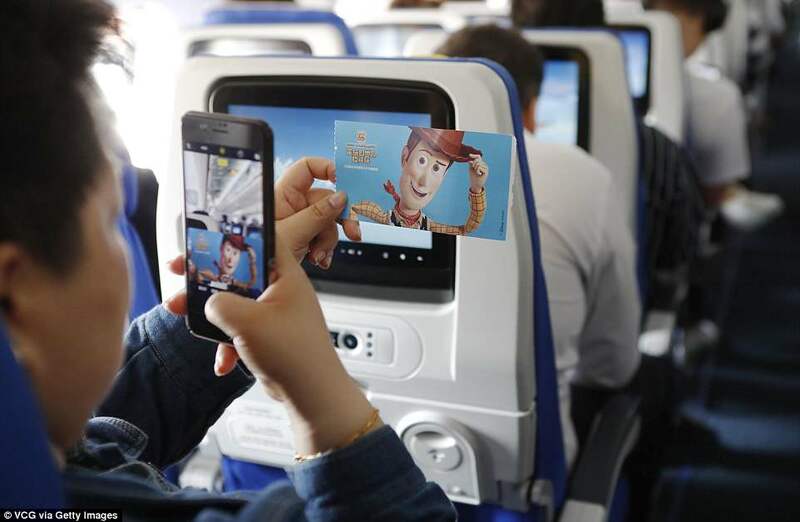 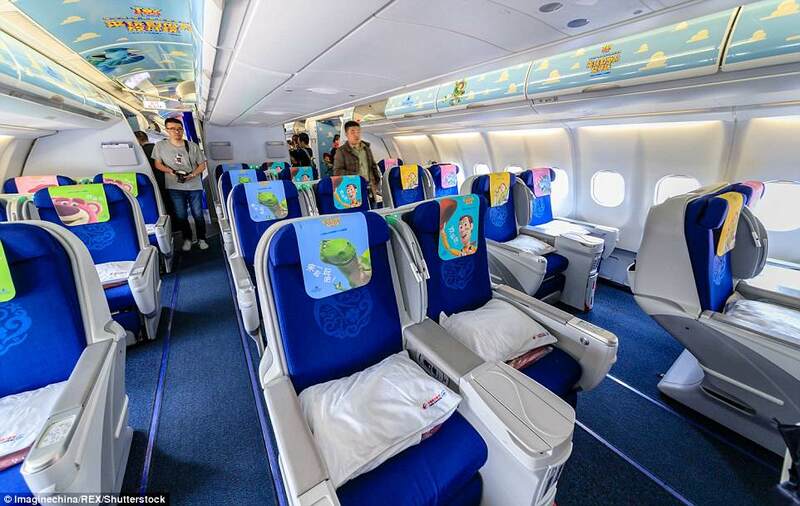 On board, bright blue seats also feature pictures of the characters as do the overhead lockers, while the aircraft also features specially designed food trays, menus and inflight entertainment. 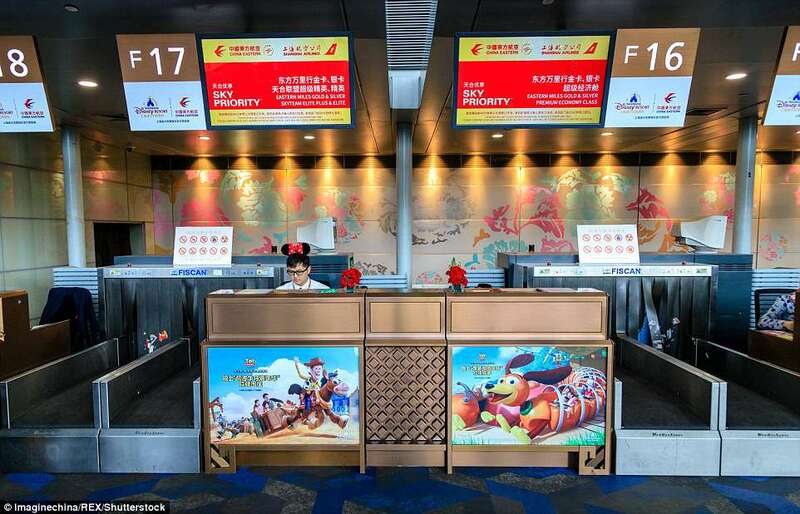 While in the terminal passengers can pose with their favourite characters from the movie series and receive a special commemorative boarding pass. 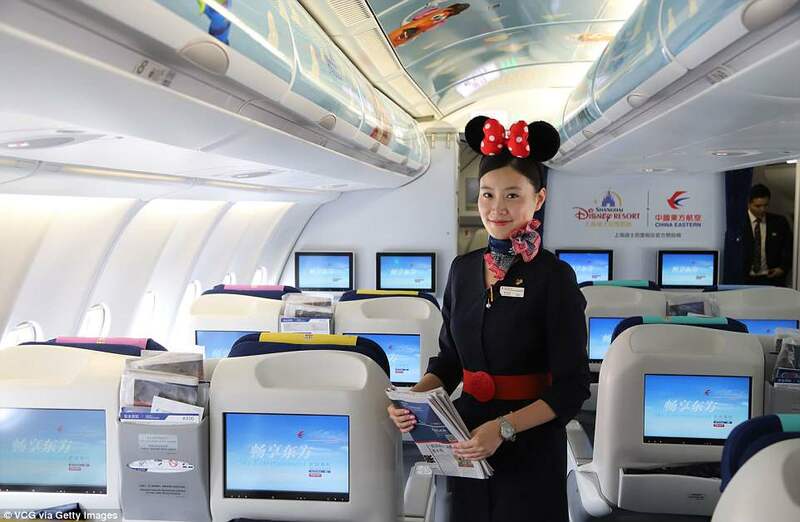 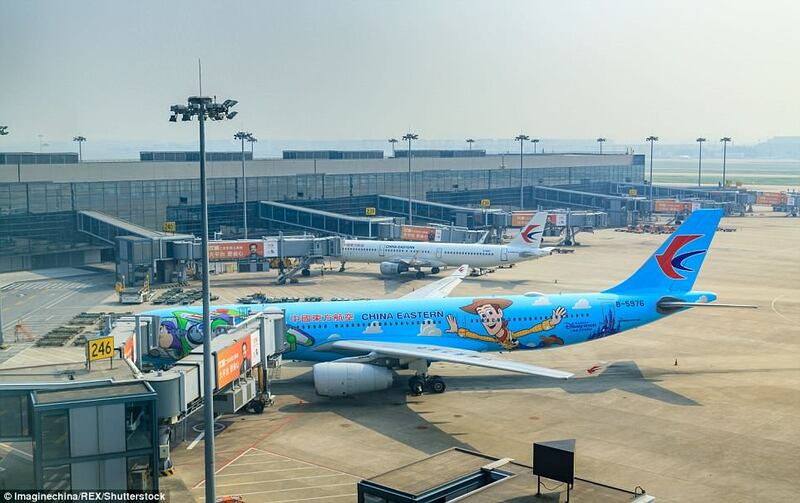 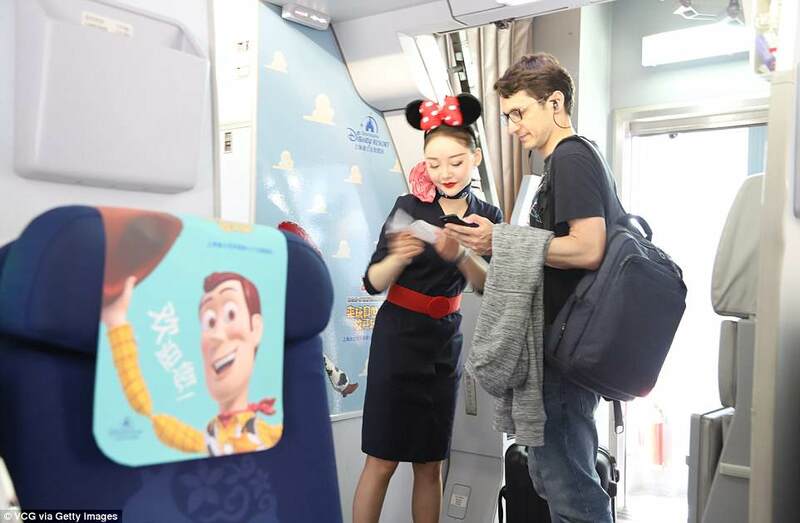 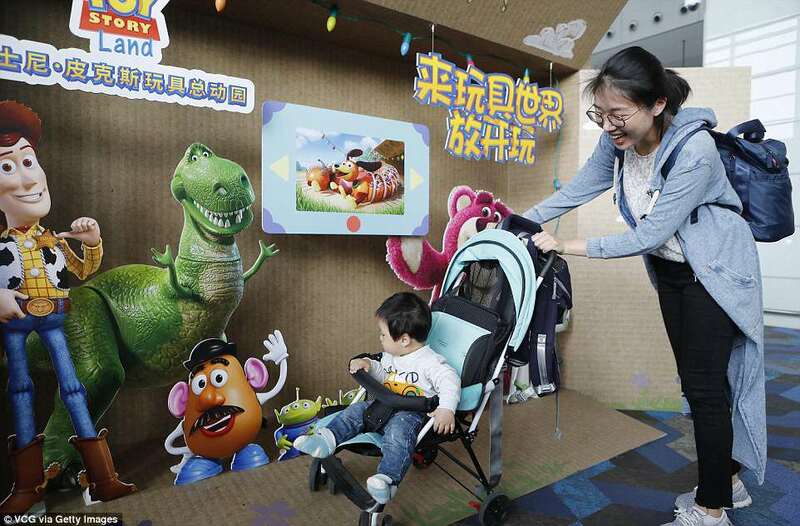 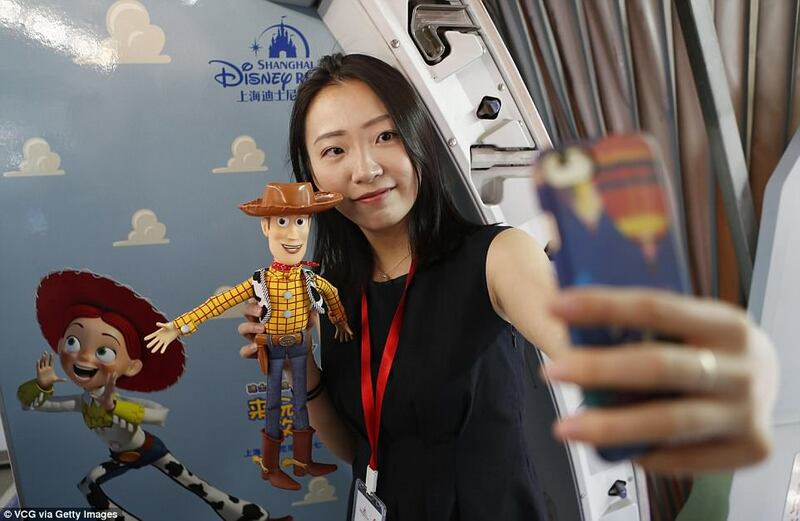 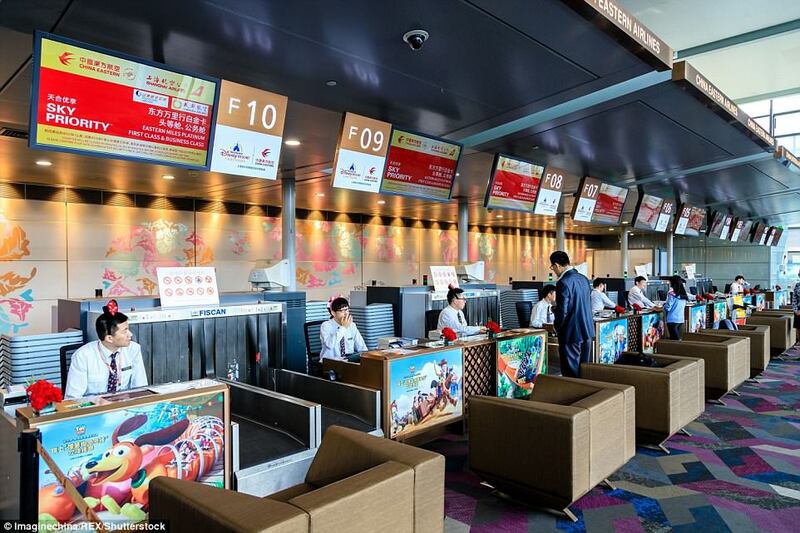 The plane will fly on China Eastern Airlines’ route between Beijing and Shanghai to mark the opening of the new Toy Story Land at the Shanghai Disney Resort. 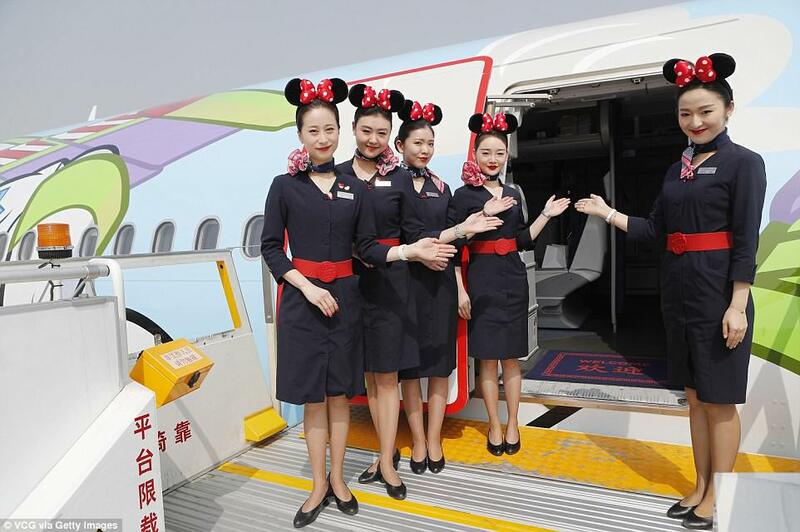 But it is hoped the aircraft will operate on other routes between Chinese cities in the future.